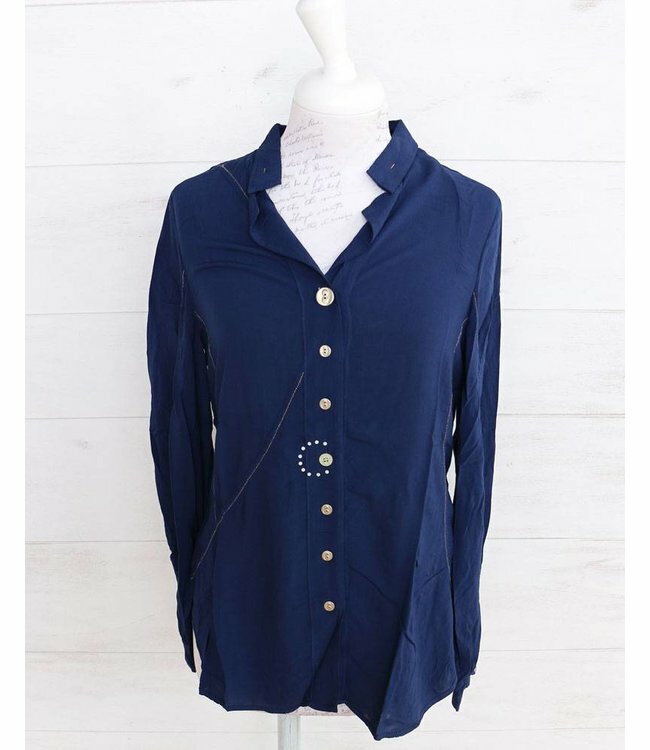 Subtly fitted basic blouse, hip-length, in dark blue. The blouse is made from a light viscose fabric, features visible seams and diamante as well as a variety of hand-crafted buttons. It is slightly rounded at the front and back.